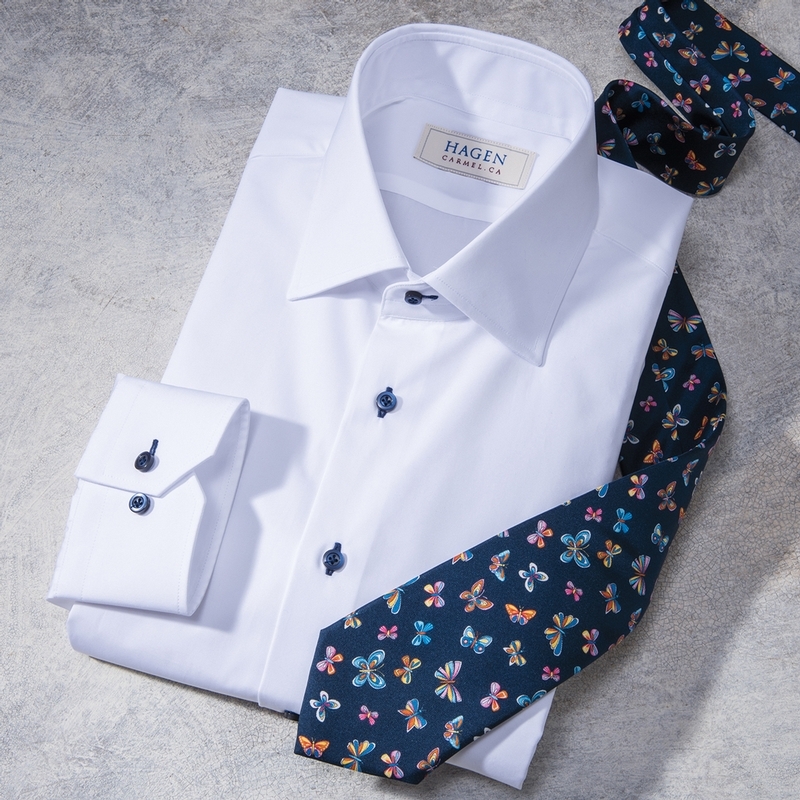 White Poplin Dress Shirt by Hagen of Carmel, enlivened with navy buttons. 100% cotton poplin, with medium spread collar, button cuffs. Imported.